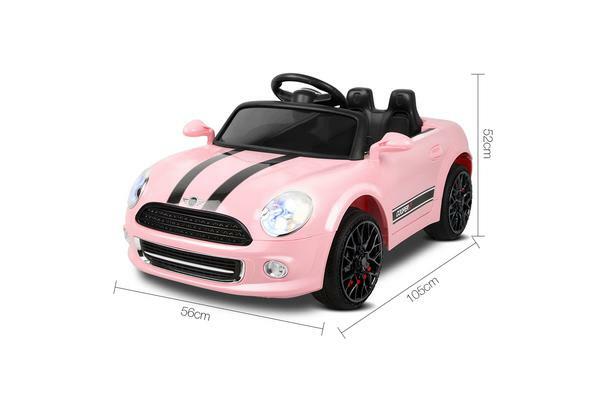 Built as a perfect replica, the kid’s version Mini Kids Ride On Car certainly looks the part with its distinctive front end, racing stripes across the bonnet and a gleaming paintwork that complements the iconic styling. Open the doors and you’re welcomed with all the essentials of great fun on the dashboard. 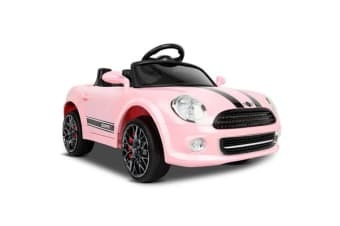 Power switch, horn, speed control, forward/reverse switch, music controls and even MP3 connectivity to your kid’s iPad for his or her favourite tunes while on the move. Start the motor, and the upgraded 50W twin motor comes alive for up to two hours of exhilarating fun on a full charge with its two SAA-approved rechargeable batteries for total peace of mind. Safety is also key to this ride as it meets the EN71 Safety of Toy safety standards strictly. 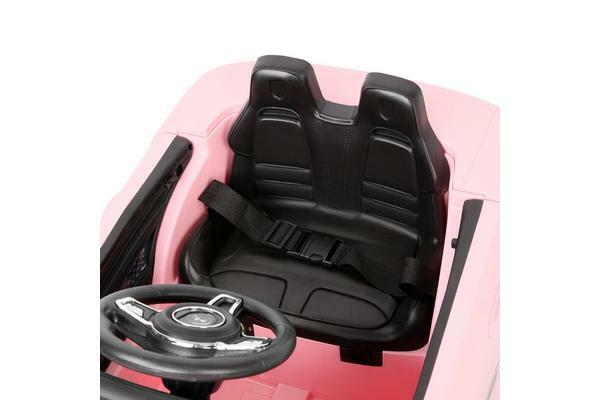 A large seat with safety belt ensures every twist and turn with the Mini keeps your kid well-strapped. Additional safety first measures include a unique soft speed system to prevent jerky starts or sudden stops, anti-slip tyres for good traction, stable four-wheel suspension and an adult remote override control for a quick takeover of the ride when circumstances need intervention.